The National Gallery is a major museum of western European art from the 13th to the 19th centuries, including English portraits and landscapes, Italian religious and mytho­lo­gical scenes and a signi­ficant collection of Impressionist paintings. In 1824 the government paid the financier and under­writer John Julius Angerstein £57,000 for the gallery’s core collection of 38 paintings, which were initially displayed in Angerstein’s house in Pall Mall. In 1837 the gallery moved to its present home on the site of the King’s Mews (which had been the structure that actually gave rise to the modern meaning of the word ‘mews’), on the north side of Trafalgar Square. It shared the building with the Royal Academy until the latter moved to Burlington House in 1868. Londoners were not at first impressed by the gallery’s external appearance and it was nicknamed the National Cruet-Stand on account of what was perceived as an excess of petty archi­tec­tural detail – and because of the pepperpot-shaped cupolas with which the building is crowned. 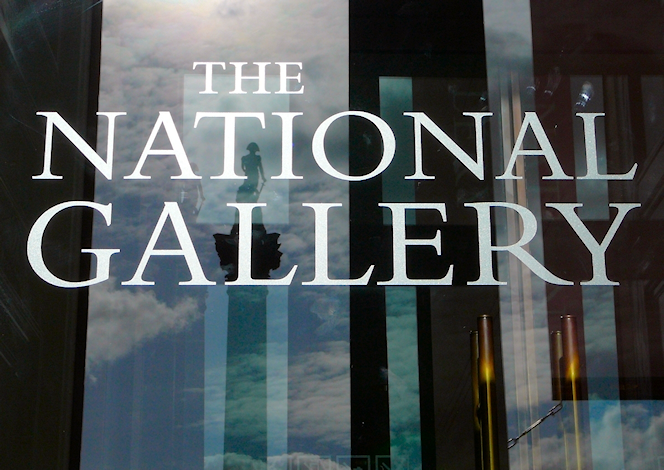 The National Gallery is open daily from 10am to 6pm (Fridays 10am to 9pm) and admission is free. More than four million people visit every year.